Bringing together Islamic studies, a postcolonial literary perspective, and a focus on the interaction between aesthetics and politics, this book analyses Iqbal’s Islamism through his poetry. It argues that his notion of an Islamist selfhood was expressed in his verse through the interplay between poetic tradition and creative innovation. 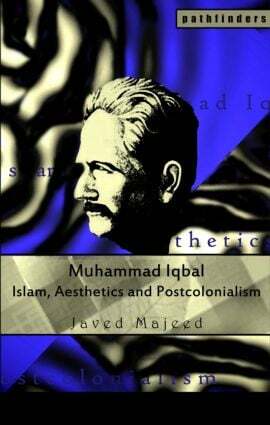 It also considers how Iqbal expressed an Islamist geopolitical imagination in his work, and examines his exploration of the relationship between the modern West and a reconstructed Islam. For the first time, Iqbal’s personal letters have been drawn upon to provide an insight into his inner conflicts as articulated in his poetry. Concentrating on the complexity of his work in its own right, the book eschews the standard appropriation of Iqbal into any one political agenda — be it Indian nationalism, Muslim separatism or Iranian Islamic republicanism. With its analytical and in-depth reading of Iqbal’s verse and prose, this book opens a fresh perspective on Islam and postcolonialism. It will be a fascinating study for general readers and readers with interests in the intellectual and political history of modern South Asia, colonialism and postcolonialism, Islamic studies, and modern South Asian literature (especially Urdu and Persian poetry).